Betty Jane "Bug" Eggers Lancaster, age 91, passed away on April 9th, 2019. She was a devoted and loving wife, mother, grandmother, and great-grandmother. Her faith was evident in all aspects of her life making her beautiful both inside and out. Born on January 15th, 1928 in Alexandria, Louisiana to Statie Preston and Gladys Sweeney Eggers, she lived most of her life in Monroe, Louisiana. She graduated from Northwestern State University with a degree in Education and obtained a Master’s Degree at Northeast LA University. She was a teacher for 35 years touching the lives of many students and was a member of Alpha Delta Kappa and Daughters of the American Revolution. 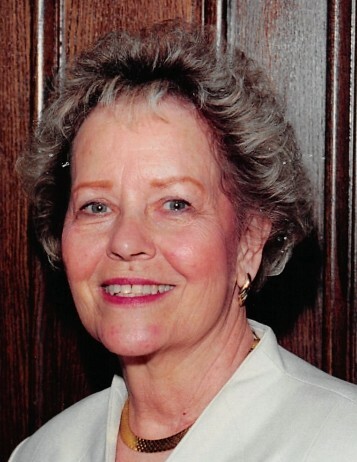 She was active in the Presbyterian Church, Westminster/Graceminster in Monroe, LA and most recently Highland Presbyterian Church in Baton Rouge, LA. She is survived by her two sons, James Bruce Lancaster and his wife Cathi, and John Preston Lancaster; two daughters, Marilyn Lawrence and her husband Bob, and Allison Sceroler and her husband Craig; grandchildren and great grandchildren, Eleanor Dake (Jeff) Marshall and Cameron, Emily Gaither (Beau) Grigsby, Emery Lancaster, Brent Lancaster (Laura) Leyton and Nate, Elizabeth Morgan and Isabelle, Jamie Lawrence (Amanda) Clara, Wally and Eliza, Mark Lawrence (Megan), Catherine Zeno (Mustafa), and Grant & Grace Sceroler; along with numerous nieces and nephews. She is preceded in death by her parents; her husband, James Otto Lancaster, Jr.; her brothers, John William (Billy) Eggers, Statie Preston Eggers and Earl Musgrove Eggers. Visitation will take place at Highland Presbyterian Church on Sunday, April 14th from 1 p.m. until the funeral services at 2 p.m., with a reception to follow. Burial will be Monday, April 15th at Mulhearn Memorial Park Cemetery in Monroe, LA at 1 p.m. with a reception to follow. Pallbearers will be grandsons, Jamie Lawrence, Brent Lancaster, Grant Sceroler and nephews, John Scott Eggers, Glenn Eggers, and Larry Eggers. In lieu of flowers, please make donations to M. D. Anderson Cancer Center or Highland Presbyterian Church. She always closed her letters with “Heart Full of Love”, and that’s how she lived her life for her family, friends, and church.